Talking about F1: The F1 blog: Sochi Preview: Now or never? The song remains the same. 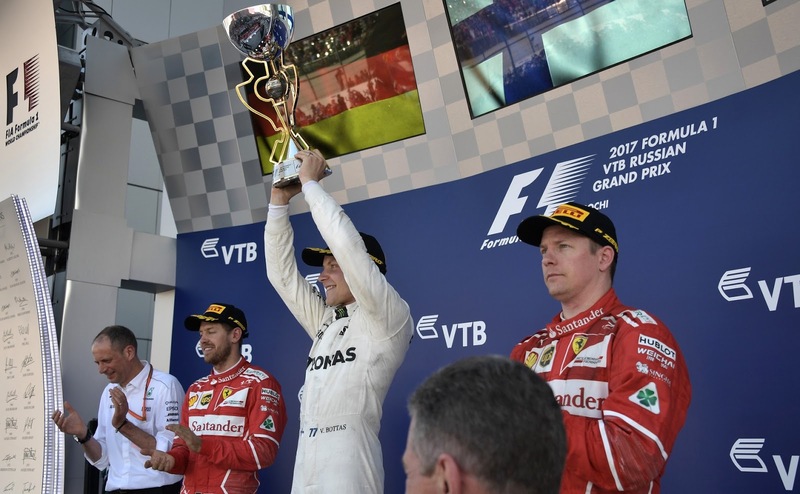 Ferrari should be on top in this weekend's Russian Grand Prix at Sochi. But we've said that a few times in recent weeks about the Grand Prix before us, only for something to come along to ensure it doesn't come to pass. Victory or not will likely again be a matter or whether the Scuderia can at last avoid treading on its own tail. Can Ferrari at last get something over Lewis Hamilton? Matters now are getting critical. With its previous failures Ferrari and Sebastian Vettel you feel simply must get something back on Mercedes and Lewis Hamilton this weekend to salvage what is left of their diminishing title chances. And not just due to the championship points mathematics. It again goes in with a few identifiable causes for optimism. Some 70% of the Sochi lap is spent on full throttle - it's a slightly Montreal-esque collection of straights and sharp turns around an Olympic site - and we've seen repeatedly that the works Ferrari has a notable grunt advantage over all others. Even last year the red cars locked out the front row of the grid in an age wherein such a thing was rare. Vettel goes well here too; his high-momentum corner entry style suits the circuit. Another thing Vettel and Ferrari can take hope from is that, unlike at Singapore, history hints that Hamilton won't be pulling rabbits out of his hat this weekend. At this track his previous isn't that great, even allowing that he's won twice in four visits (and that Mercedes, oddly given what we've said, has never lost at Sochi). 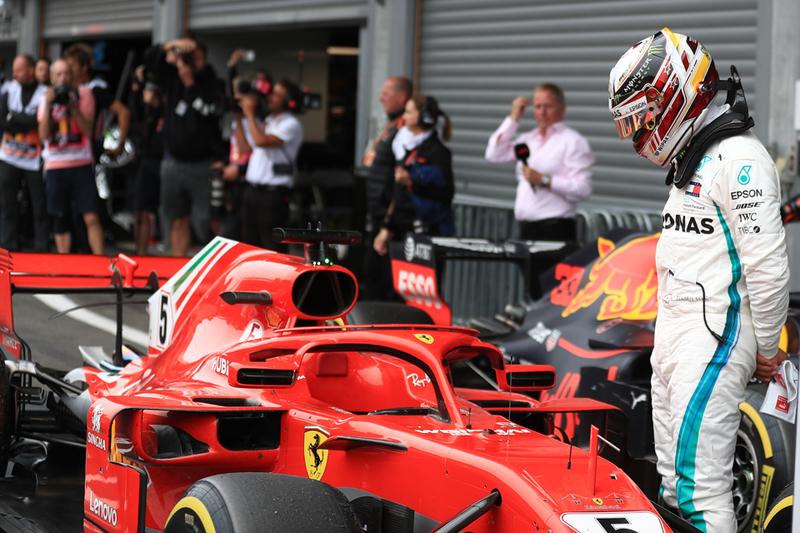 Often he's struggled for a rhythm and set-up here; last year he couldn't get with the programme at all and was way off his team-mate as well as the Ferraris. In the last three Sochi stop-offs he's been outqualified by his stable mate, although one was due to a technical failure. So again Vettel and Ferrari should win at Sochi. Indeed there are few tracks on which they have more in their favour over Mercedes, on paper in advance at least, than this one. But as noted we thought that about Singapore. And Monza. And F1 results aren't decided by mere application of inhuman science - there's also the question of how Singapore's more general body blow on Ferrari, and that therein the strain between driver and team appeared yet more taut than before, will impact on performance. Then there is the other Mercedes. Valtteri Bottas is a local specialist. He took his freshman F1 win at this venue last season in fine style, resolute as Vettel attacked him, while even in his Williams days he qualified third at Sochi every time. He might even have nabbed pole in 2014 without a late error. It may be that he takes it to the Italian cars on Hamilton's behalf. 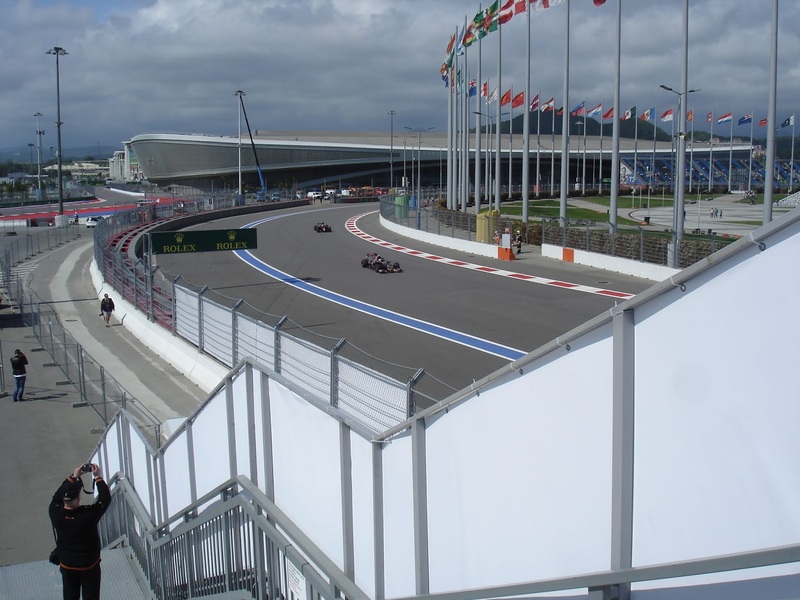 Sochi latterly has been given F1's unwanted baton of its ugly duckling venue, and this is for some reasons on the track as well as off it. In a way that surely only Hermann Tilke can, the track layout that should make overtaking unavoidable - two absurdly long straights ended by big stops - steps through the looking glass to provide nearly none of it. It's not exaggeration to say that track position here is of similar importance to that in the last round, at claustrophobic Singapore. Adding to the follow-my-leader nature there tends to be next to no strategic variation in Sochi races. The glass-like surface - local weather variations mean the asphalt has not matured as at other venues - means near-zero tyre degradation and wear and last year indeed the soft tyre, the most durable brought, was pretty useless. Taken together it results in very samey one-stoppers starting on the softest compound then switching to the second softest. 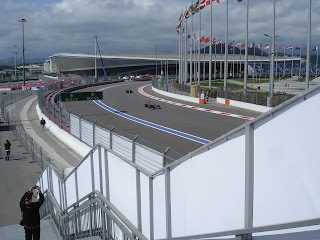 Extreme fuel saving also has often been required at Sochi races - this in particular led to Kevin Magnussen describing his first race here as "a chilled-out Sunday drive". As in Singapore the gumball hyper-soft is brought to this track for the first time. The idea of the compound was to encourage multi-stoppers but given everything a tepid opening stint nursing incremental life from the hyper-soft to still allow a one-stop, just like in Singapore, seems most likely. Sochi's low degradation can also mean undercuts and tyre offsets have little power - Nico Hulkenberg for one last year found that tyres 14 laps fresher weren't enough to pass Esteban Ocon ahead of him. One area of potential variation is a back to front strategy for those starting outside the top 10 on a harder tyre, which has the added benefit that early safety cars are probable here meaning you can take advantage by under it switching to the quicker tyre for the race's duration. The Saubers did just that last year and they indeed made up time by doing so, though were too far back for it to make much of a difference to their results. Perhaps more will go for it this time. The same compounds as in Singapore are brought to this one, with a 'step' between the ultra-soft and soft. The compounds are generally softer this year so we'll find out if that brings the soft compound into the game this time. There are though a couple of conspicuous variables in Sochi races - both in the opening seconds. One is that the run from the start to the first proper turn is lengthy with plenty of opportunities to slipstream - to the point that some speculate that starting on row two is an advantage over row one. Bottas took a lead he didn't lose from third on the grid via that very avenue last year. Also the opening complex often is the scene of carnage and plenty of order jumbles. Two years ago Fernando Alonso and Magnussen set themselves up for an incongruous sixth and seventh place finish respectively - having started 14th and 17th - by finding a quick path through the mayhem. Red Bull has admitted that of the remaining rounds Mexico is likely to be its only victory shot. This power track isn't set to do it many favours and reflecting that it has to some degree written this one off it is expected to take engine penalties this weekend so it can revert to the old Renault spec for the rest of the year. As a power track Force India and Haas should show up well, while Williams has tended to go well here too though as ever it's not clear if this will be enough this time to overcome its more general malaise. It did though get a double score at the similarly power-hungry Monza. Yet none will go into this one with quite so much competitively at stake as Ferrari. For the Italian squad the Russian Grand Prix feels like a matter of now or never.